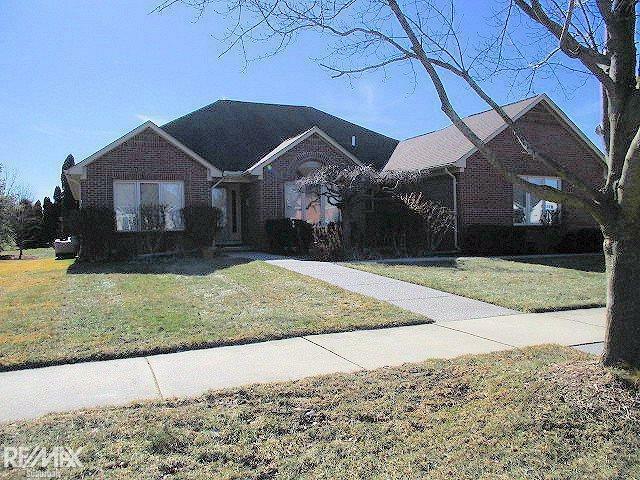 If you hurry, YOU can be the lucky one to move into this Beautiful Well Maintained Full Brick Ranch, in the Custom subdivision of Riverside Glen. A few of the fine features include?Underground Sprinklers on a 90x120 Corner lot with side Entry garage, Aggregate Walkways and Driveway, 23 x 12 Wolmanized Pine deck, Roof approximately 5 years New, New Garage door with opener, Vinyl clad windows and Majic Fiberglass door walls. Then venture inside to see the dramatic Cathedral Ceilings in the Great Room and Kitchen, French Doors and Built-in bookshelves in the Den, Full bath in Master bedroom, First Floor Laundry, Ceramic Flooring thruout. Mechanically the High Efficiency Furnace & Air Conditioner with Space Guard Air Purifier were installed in 2013, New H20 Tank in 2017, and the dehumidifier in the basement stays. BETTER HURRY!